Human hair looks more natural compares synthetic hair, gives soft feel and good touch, just like your own hair. Sometimes, you may just forget that you wear hair extensions. 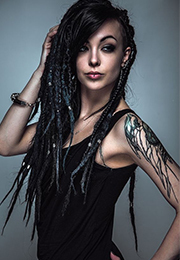 DSoar hair are made of 100% Human Hair. Human hair ensures all hair are made of human hair, no synthetic hair or animal hair, but not ensure the hair tops and ends are in the right direction. 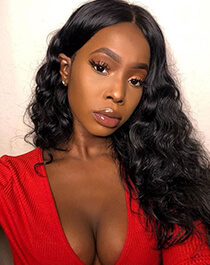 Remy hair is considered to be the finest quality of human hair, because the hair cuticles are kept intact and not stripped, like in most other non-remy hair extensions. Preserving the hairs' cuticles and aligning them in a unidirectional fashion creates extensions that are completely natural in appearance. Good touch feeling and very natural. Remy human hair is the top preferred choice of human hair extensions, hair bundles, hair closure and wigs. With 100% Remy hair, all hair strands follow the same direction with almost no tangling or matting. Can Remy Human Hair Be Dyed? For Remy human hair haven't been dyed, permed or other processed in any way, the remy hair can be dyed to any style you like, you can dye your black hair to blonde color, brown color, red color or change your hairstyle, like straighten your hair or curl your hair, and there are minimal damage to the hair. We suggest that you do not dye your non-Remy hair. So What Is The Difference Between Remy Hair And Human Hair? Remy hair is the finest quality of human hair. With hair cuticles are kept intact and hair tops and ends at the right direction. 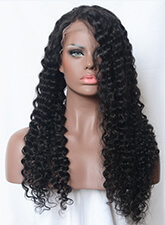 It can be straighten or curled, and can be colored into any style you want. 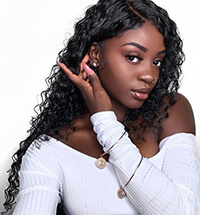 Human hair ensures that your hair weave, hair extensions, wigs, hair closure are made of 100% human hair, no synthetic hair or animal hair mixed.